The operator of the online shop is Avantgarde Sales & Marketing Support GmbH, henceforth referred to as Avantgarde. The following conditions apply to all services offered by Avantgarde regarding the booking, payment, and dispatch of our online shop products. Those conditions equally concern the reservation, presale and the conduct of guided tours in the Saxon State Theatre - State Opera Dresden (hereinafter called Semperoper Dresden). The General Terms and Conditions (GTC) regulate the legal relationship between Avantgarde and their customers. The version valid at the time of the order or booking shall be legally binding. Avantgarde does not recognize any deviating terms and conditions except where Avantgarde has explicitly, and in written form, agreed upon the validity of an alternate version. You may store the GTC on your computer and/or print them for your online booking/order. Submitting an order is regarded as an offer to form a purchase contract with Avantgarde. Once you place an order with us, we will send you an email confirming the receipt of your order along with a revision of its details (confirmation of order). However, this order confirmation serves only to inform you that your order has been received by us. It cannot be regarded as a definite acceptance of your offer. An effective purchase contract is achieved once the ordered product(s) have been dispatched and the shipping details have been affirmed via a second email (confirmation of shipping) sent to you. Products which are not listed in the shipping confirmation, even if requested in the same order, are not part of the purchase contract. Avantgarde does not contract with minors. Therefore, even our products specifically directed at children can only be purchased by adults. Please note that generally we sell our products only in small amounts according to our usual household quantities. This refers to both, the number of products booked within one order and/or the placing of several orders of the same product in which the individual orders comprise a feasible quantity. You may revoke your contractual declaration in writing (letter, email, fax) within 14 days without explanation or by returning the goods providing they have been left with you before the deadline. The revocation period begins upon receipt of this instruction in written form but not before the arrival of the goods at the customer’s address. In the case of recurring deliveries of similar goods, the period will not start before the receipt of the first consignment. Furthermore, the 14-day-period shall not begin before the fulfilment of our duties to provide information as defined in Article 246 § 2 in conjunction with § 1 (1) and (2) EGBGB (Introductory Act to the Civil Code) as well as our duties in accordance with § 312g (1) sentence 1 of the BGB (Civil Code) in conjunction with Article 246 § 3 EGBGB. The timely dispatch of the revocation or the goods shall be deemed sufficient for compliance with the revocation term. The Revocation is to be directed at either Avantgarde Sales & Marketing Support GmbH, Ostra-Allee 11, 01067 Dresden or info@semperoper-erleben.de. In the case of an effective revocation, the services received by both parties must be returned along with any benefits (e.g. interest) which may have been the result of them. If you fail to return the received services, including potential benefits (e.g. benefit of use) or if you return them only partially and/or in a deteriorated condition, you must provide us with adequate compensation. Reimbursement is only required as far as the deterioration can be attributed to the handling of the goods, which is beyond the inspection of properties and functionality. This also applies for any profits gained by using the commodity in a manner that is beyond the inspection of properties and functionality. “Inspection of properties and functionality” is defined as the testing and examining of the respective goods as is customary and possible in a retail shop. Goods consignable by parcel are to be returned at our risk. You must return the goods immediately and in any case no later than 14 days from the date on which you informed us of your revocation. The deadline is adhered to if you dispatch the goods before the expiry of the 14-day-period. You must cover the expenses of the return. Goods which are not shippable will be collected from you. Obligations to reimburse payments must be met within 30 days. If not agreed upon otherwise, the shipment shall be made to the shipping address provided by the customer. In most cases, the shipment of goods is carried out within one week from the shipping confirmation. Please note that dispatch or delivery times are an estimate only and therefore non-binding, except where Avantgarde have explicitly committed to a guaranteed delivery date. As Avantgarde processes the order, it might turn out that certain products are unavailable. In this case, the customer will be immediately informed via email. If Avantgarde is unable to deliver ordered goods through no fault of their own, because their supplier cannot fulfil their obligations, Avantgarde has the right to retreat from the order. In that specific case, the customer will be informed of the proceedings immediately. This shall have no effect on the legal claims of the customer. If a delivery is not possible, because of the customer’s absence from the address provided, even though they have been given reasonable notice of the delivery time, the customer is then obligated to cover the costs. The same shall apply for any unsuccessful delivery caused by adverse local circumstances i.e. the goods cannot be transported through the entrance door, front door or staircase. Unless specified otherwise, Avantgarde determines the dispatch type and transport company using equitable discretion. If the customer is a consumer, the risk of accidental loss, accidental damage or accidental destruction of the goods supplied shall pass to the customer upon delivery or where the customer is in default of acceptance. In all other cases, the risk is transferred to the customer as soon as the goods are forwarded to the transport company. Avantgarde will insure the goods against usual transport risks. These costs are included in the shipping charges. Payment of the purchase price can be made with all payment methods offered in the online shop at the time of the order. The purchase price is due with dispatch of the goods. The customer is entitled to offset claims or to retention rights only if their counterclaims are undisputed by Avantgarde or have been recognized as legally binding. All prices include the statutory value-added tax (VAT) but exclude shipping costs, customs duties, and/or similar charges. All extra costs must be covered by the customer. The corresponding shipping cost will be indicated before the completion of the order process. Avantgarde is entitled to choose a shipping company at their discretion. The applicable currency is Euro. Avantgarde remains sole proprietor of all purchased goods until the receipt of final and complete payment. The statutory regulations of defective goods as well as complaint provisions described in the HGB (Handelsgesetzbuch) shall apply to all customers who are not consumers (for reference see German GTC). A tour will last for approximately 45 minutes and is carried out by a qualified and properly trained guide. The selection of the guides is in the sole responsibility of Avantgarde. External guides are not permitted to carry out tours. The prices valid at the time of the booking, which include the applicable VAT, are decisive. Avantgarde publishes the respective admission fees and announces them at the box offices and the online shop. Reduced admission is granted to pupils, students, and severely disabled people with a disability degree of 80%. You must provide evidence to qualify for a specific concession when purchasing tickets and/or show your entitlement to a reduced admission fee at the admittance of the guided tour. Reduced tickets are only valid in combination with an identification document. If you fail to present such a document, the difference between the reduced price and the full admission fee must be paid. Children under 6 years of age, as well as accompanying person(s) of severely disabled visitors, can participate free of charge. Family tickets are valid for 2 adults with up to 5 children under 18 years. Photographing within the Semperoper Dresden is only permitted with the respective photo license available for a fee of 3,00 € per person (valid for one guided tour). A group license is issued for a fee of 30,00 €. Presales commence as indicated in the publications of Avantgarde. In individual cases, Avantgarde is justified to restrict the number of tickets per customer if deemed necessary. People with disabilities can receive preferential treatment. Orders for single tickets can be placed by telephone and email within the opening hours of our service centre (Mon-Fri.: 9:00am to 6:00pm, Sat. : 9:00am to 4:00pm). Additionally, you can purchase presale tickets at our box office Schinkelwache (Theaterplatz 2, 01067 Dresden) during the opening hours (Mon-Fri.: 10:00am to 6:00pm, Sat, Sun, public holidays: 10:00am to 5:00pm). Guided tours can also be booked at any time through our online shop. An over-the-counter sale at the box office in the Semperoper Dresden is only ever possible immediately prior to the start of a guided tour. In case of a booking via the online shop, the offer to conclude a contract between Avantgarde and the customer is acknowledged as soon as the latter has initiated the order process on the internet. 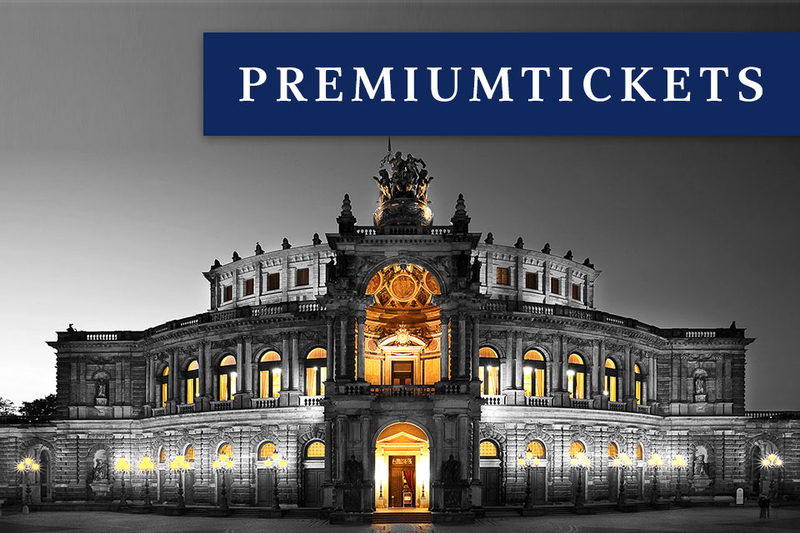 In the online ticket shop www.semperoper-erleben.de, a binding offer is submitted by clicking on the button “send order”. Shortly thereafter, the purchaser will receive an email including a confirmation of the ticket purchase and the Print@home ticket as a pdf-file. Payment is to be made by means of payment methods offered in the online shop at the time of order. Guided tour tickets that have been purchased online must be printed at home and cannot be collected at the box office. Avantgarde points out that regulations concerning the remote sales contract (Fernabsatzvertrag) as referred to in § 312 b BGB will not apply for the distribution of guided tour tickets. This means that purchasers cannot invoke their two-week right of revocation and/or right of return. Hence, each order of tickets for a guided tour is immediately binding upon receipt of the booking confirmation and requires the customer to accept and pay for the ticket. Tickets for guided tours can neither be returned nor exchanged. Expired tickets and/or lost tickets cannot be replaced. Should the customer be delayed, his/her claim to attend the guided tour will expire after 15 minutes. The remuneration obligation remains in force. The resale of such tickets at a higher price than originally specified by Avantgarde is prohibited. Likewise, the commercial resale is not permitted. Any violation of these terms will forfeit the right to access the Semperoper Dresden. Compensation will not be granted in this instance. Tickets must not be copied or duplicated or else they will instantly lose their validity and replacement for the loss will be denied. The customer can select freely from guided tours offered by Avantgarde, then book an exclusive group tour either online or in writing (letter, email, fax) stating the desired date and time as well as the number of participants. The contract is concluded with Avantgarde confirming the booking. Verbal side agreements or additional amendments to a contract are only binding if Avantgarde confirms them in writing. Exclusive group tours may be cancelled free of charge up to 7 business days prior to the booked tour date. In case of cancellations up to 5 business days, Avantgarde can charge cancellation fees amounting to 50% of the original contractual sum. Cancellations of less than 5 business days before the tour date, can incur cancellation fees of up to 100%. Any cancellation must always be made in writing via fax or email (info@semperoper-erleben.de) and shall only be effective following the confirmation of Avantgarde. Upon request, an already confirmed booking for a group tour may be changed whilst acknowledging that a processing fee of 5,00€ per change will be charged. Should the customer be delayed for more than 15 minutes, their right to attend the guided tour will be forfeited. The obligation to remuneration remains. Prior to the tour, the customer must present a corresponding group ticket and/or voucher (only after contractual agreement) at the entrance. Bookings can only be conclusively confirmed once guided tour dates have been approved by the householder, Semperoper Dresden. Definite tour dates are available approximately 2 to 3 months in advance. Therefore, Avantgarde maintains a list of customer requests whose desired tour dates are in the distant future. The customer receives a non-binding preliminary confirmation that the request has been registered. In the exceptional case that unscheduled rehearsals or performances take place in the Semperoper Dresden or rehearsals and stage operations are rescheduled, a guided tour, although confirmed, cannot be carried out. Avantgarde will reimburse the full price paid for the affected tickets. Upon request of the customer, the tour date can be changed free of charge. Further claims do not apply. Should the guided tour be impeded by force majeure, catastrophe, or strike, Avantgarde will reimburse the customer for the paid price. Tickets for guided tours that are booked online as well as via the service centre, will be emailed as a pdf-file (= Print@home ticket). The customer is obliged to review the confirmation document and booked tickets immediately upon receipt to affirm their correctness and compliance with the order (i.e. date and time, number of tickets). Because of the strict time constraints of the event business, such or other obvious deviations or shortcomings must be claimed in written form (letter, email) prior to the guided tour concerned. Only then Avantgarde will have the opportunity to remedy those shortcomings. Avantgarde is entitled to reject belated objections. If tickets are not received after an appropriate waiting period, Avantgarde is to be notified shortly thereafter via mail or email, to allow rectification of the fault. Prior to the guided tour, the customer must present a printout or a digital version of the tickets. The quality of the tickets and especially the barcodes must not be impaired or else they lose validity immediately. Multiple copies, duplicates or manipulations of a Print@home tickets for the purpose of misuse are strictly prohibited. By scanning the barcode on the Print@home ticket, tickets are activated and retain their validity according to their respective booking. Booking confirmations/tickets are sent to the customer at their risk. Successful emailing presupposes a correct email address and the technical availability of the email account. If the customer requests the booking confirmation and/or tickets to be mailed, an additional shipping fee will apply (price on request). The shipping is at the risk of the customer. Avantgarde reserves the right to choose the shipping company at its discretion. Prices as indicated at the time of the booking, including the VAT, are decisive. The agreed upon remuneration for all purchases is due with the confirmation of booking. All online purchases such as regular guided tour tickets or exclusive group tours can only be paid with the payment methods available at the time of the order on the online shop. Tickets purchased at the box office can be paid either in cash or with credit/debit card. When booking via mail or email, an invoice is issued. The amount of the invoice must be credited within the stated period. In case of non-payment, guided tour tickets can be allocated anew and/or booked group tours can be forfeited. In the case of a credit card payment, the customer/visitor is obliged to reimburse Avantgarde for all costs resulting from the return debit specifically transaction and charge-back-fees. If payments are delayed, the customer is not entitled to claim booked guided tour tickets or group tours. Gift coupons for the guided tour in the Semperoper (= exclusive ticket) can be purchased at the box office Schinkelwache, via phone with our service centre as well as via the online shop. The exclusive ticket entitles the customer to participate in a public guided tour. The ticket holder can choose a tour date freely but in accordance with the offer of Avantgarde. In case the ticket holder selected a tour, which has already been completely booked, alternate tours will be offered to him/her. No claim can be made for the reimbursement of the ticket price. A possible redemption of the gift coupon will be impossible after three years from the issuing date. Gift coupons cannot be cashed-in. Avantgarde accepts so-called vouchers which the customer has purchased from a third party (complying with § 364 II BGB). Claims against the customer expire upon fulfilment by the third party. Avantgarde does not provide any substitute for lost vouchers. The visitor regulations of the Saxon State Opera Dresden apply at all times. The Saxon State Opera Dresden holds the authority to expel a ticket holder from the premise or to impose a general house ban on them if the ticket holder continuously transgresses the visitor regulations or if he/she has infringed the GTC. 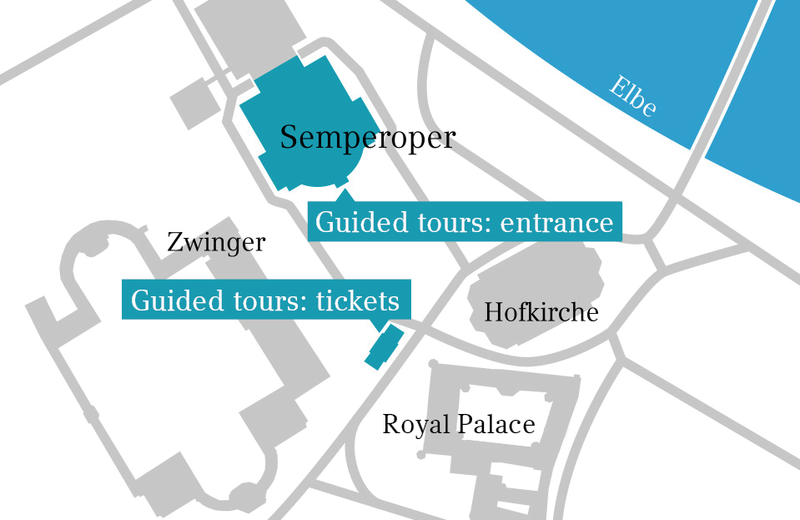 All personnel employed or commissioned by the Semperoper Dresden hold the right to evict visitors if management or fellow visitors are hindered or harassed by them. Access may be denied in the case that there is a justified assumption that the person(s) will interfere with the operations of the Semperoper Dresden. Refusal of entrance can also be applied if the visitors for a guided tour cannot provide valid tickets. It is forbidden to bring bicycles, baby carriages, animals, etc. to the Semperoper Dresden. This rule excludes assistance dogs. Food and drinks are also prohibited. The house rules of the Semperoper Dresden must be observed at all times. Items of clothing can be stored in the provided cloakroom. The cloakroom is not closely monitored and therefore, all individuals are solely liable for their personal items. Avantgarde accepts no liability for loss or damage. Please be aware that Avantgarde holds the right to take audio and visual recordings at any time during the guided tour. By purchasing the admission ticket, you agree to renounce all claims for remuneration concerning those recordings and agree to their distribution via media outlets, the internet or other modern communication channels. For your own interest and well-being, we ask you to comply with the instructions of our staff. It is strictly prohibited to carry any kind of dangerous objects on the premises of the Semperoper Dresden including anything that could be used as a weapon (cutting or shafted weapons, firearms), gas containers with potential hazardous substances, pyrotechnic objects/weapons of any kind as well as objects which can be used as projectiles (in particular bottles and cans). The same applies to disruptive devices such as, but not limited to, laser pointers. Intoxicated persons or persons under the influence of drugs can be refused entry and/or removed from the premise. In such cases, the person in question is not eligible for compensation of any sort. We ask all parents, legal guardians and persons accompanying groups to fulfil their supervisory duties. Please note: Supervisors, guardians and/or parents are solely responsible for any damage caused by the neglect of their duties. Avantgarde shall assume unlimited liability provided that the cause of the damage is a result of a deliberate act or gross negligence. Furthermore, Avantgarde shall be liable for minor negligent offences of essential obligations where it compromises the achievement of the contract purpose or the proceedings necessary for the contract to be performed duly at all. This will also apply to the violation of such obligations that you regularly trust us to comply with. However, liability for offences that involve only minor negligence is limited to predictable damages typical for the contract in question. Avantgarde will not be liable for the minor negligence of any obligations other than those specified in the preceding sentences. The above-mentioned liability limitations do not apply for losses arising from injury to life, body and health, for damages incurred after the assumption of guarantee for the product quality or for maliciously concealed defects. The liability under the Product Liability Act remains unaffected. To the extent that Avantgarde’s liability is excluded or limited, this equally applies to the personal liability of our employees, representatives and vicarious agents. The laws of the Federal Republic of Germany shall apply exclusively to all legal disputes arising in connection with the business relationship. The application of the UN Convention on Contracts for the International Sale of Goods is not permissible. If the customer is a merchant or does not have registered residence in Germany at the time the complaint is brought forward, Dresden will be declared as place of jurisdiction. The contract language is German. Alternative Dispute Resolution: Avantgarde Sales &Marketing Support GmbH is not willing or obliged to participate in dispute settlement proceedings before an Independent Consumer Arbitration Office (Verbraucherschlichtungsstelle). All data handling i.e. processing, collecting and storing complies with the requirements of the data-protection-law. The data provided by the customer is necessary to prepare and perform the business contract. It is therefore stored and passed on to service providers commissioned by Avantgarde only for the purpose of order and payment processing. Apart from that, collected address and relevant order data are processed for our own marketing purposes. In addition, we assure you that your address details will not be passed on to any third parties outside of the Avantgarde group. At any time, you may object to the use, processing and transmission of your personal data for marketing purposes. It suffices to send us an informal notification to: Avantgarde Sales &Marketing Support GmbH, Ostra-Allee 11, 01067 Dresden or an email to: info@semperoper-erleben.de. This does not apply to the data required to process your order. Upon receipt of your objection, we will no longer use your personal data for purposes other than the processing of your order and discontinue any shipping of advertising materials to you. The place of performance for deliveries, payments and services is Dresden. These Terms and Conditions become effective on the 1st of January 2017. This English translation of the General Terms and Conditions is a service of Avantgarde. Thus, the current German version is solely legally binding.